The Niche cupboard was designed around the distinctive oak veneered niches that contrast nicely with matte finishes. It's built to last � made from medium-density fiberboard using honeycomb core construction for superior strength and durability. 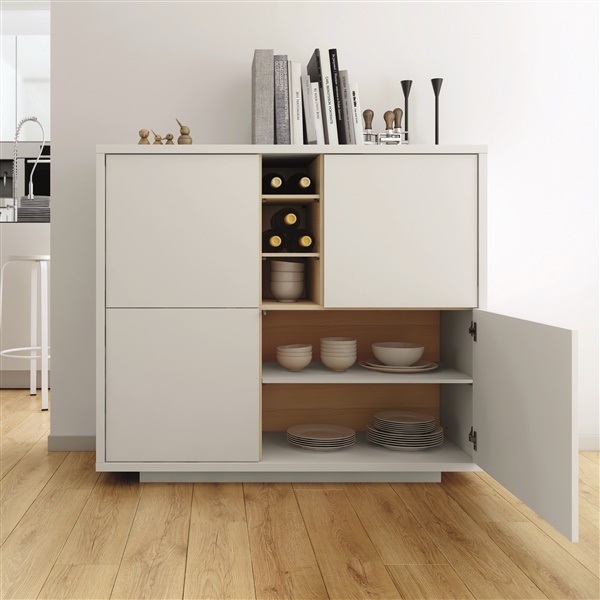 The minimal piece is appealing because of its functionality, featuring shelves behind each door to supply you with considerable storage space. In addition, there are three veneered, open cubbyholes to place some of your belongings. When you add this unit to your dining or living space, you know you've found your niche.